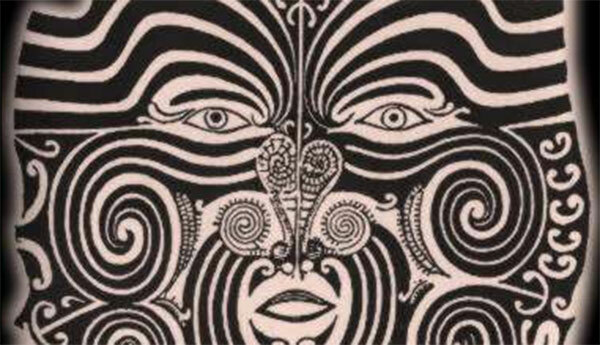 The Maori people are the natives of New Zealand who, like other tribes, have myths that are related to the creation of the world and the creation of man. According to the Maori, in the beginning was emptiness, and nothing existed. This state is called ‘Te Kore’ by the Maori. Into that emptiness two Gods appeared: one male god of the sky name Ranginui, or Rangi, and one female god of the earth, named Papatuanuku, or Papa. The earth and the sky came together and spawned six children: Tawhiri, the god of weather; Rongo, the god of crops; Tu, the god of war; Tangaroa, the god of the sea; Tane, the god of the forests; and Haumia, the god of plants. According to the myth, the children didn’t have enough space to live because their parents were very close together, resulting in an effort to separate Rangi and Papa so that they would have more space. They rebelled and successfully separated their parents when Tane cut the arms of their father, Rangi, so that he couldn’t hold their mother anymore. The children were then able to see the light and the sky for the first time. Fighting then ensued among the kid-gods, with motives relating to power, control, jealously and anger. Even though the kids had agreed to separate the parents, Tawhiri (Tawhirimatea), the god of weather and storms, got angry after seeing his parents cry. He launched an attack on his brothers, though at some point Papa decided to hide the other children to save them from Tawhiri’s wrath. Mankind originated when the god of the forest, Tane (Tanematua), used red ochre to form the first human and breathed into it. Tane had performed numerous experiments for creating and animating creatures, during which different trees were created. When finally he sought the help of his mother, she advised him—remarkably—to follow the exact same process performed in many myths and religions all over the world, with one crucial difference: the woman was the first being created. After analysing the different myths, variations exist that provide more details and differing versions of the creation myth. It is obvious that the Maori myths also have many similarities to the Babylonian creation epic, but they also share similarities with the Ancient Greek creation stories. How it is possible for an isolated civilization to have commonalities with such myths is yet to be found, increasing speculations that the myths contain a common truth of external intervention. Although Scorpio... , well ill tell you later when im more focused. I love the idea of different element of our world as God's, when I was in my teen's I had a notion of elemental spirit's/god's, fog, mist, thunder storm's, I also think we can learn a great deal about the world we live in by looking at these story's with fresh eye's. People we're actually convinced that this happened? Where does a story like this even orginate? Pretty brutal to teach children this as well but Christianity is no better.